What makes somebody a “Loser,” a person doomed to unfulfilled dreams and humiliation? Nobody is born to lose, and yet failure embodies our worst fears. 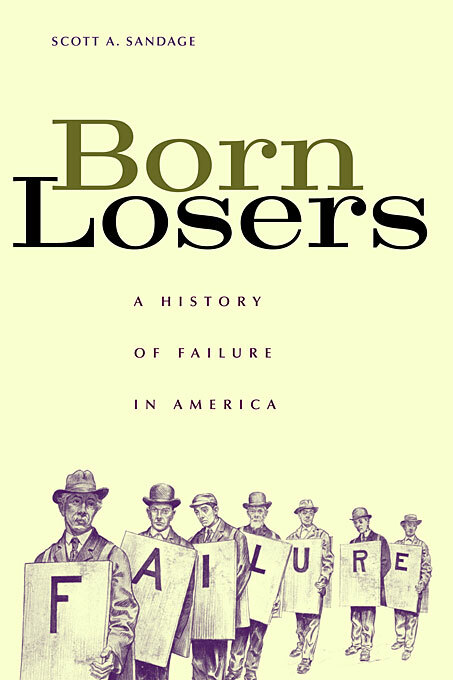 The Loser is our national bogeyman, and his history over the past two hundred years reveals the dark side of success, how economic striving reshaped the self and soul of America. From colonial days to the Columbine tragedy, Scott Sandage explores how failure evolved from a business loss into a personality deficit, from a career setback to a gauge of our self-worth. From hundreds of private diaries, family letters, business records, and even early credit reports, Sandage reconstructs the dramas of real-life Willy Lomans. He unearths their confessions and denials, foolish hopes and lost faith, sticking places and changing times. Dreamers, suckers, and nobodies come to life in the major scenes of American history, like the Civil War and the approach of big business, showing how the national quest for success remade the individual ordeal of failure. 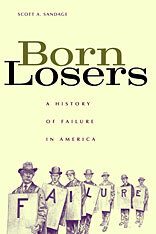 Born Losers is a pioneering work of American cultural history, which connects everyday attitudes and anxieties about failure to lofty ideals of individualism and salesmanship of self. Sandage’s storytelling will resonate with all of us as it brings to life forgotten men and women who wrestled with The Loser—the label and the experience—in the days when American capitalism was building a nation of winners.